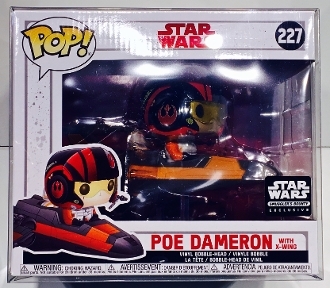 1 custom made box protector for the Funko Poe Dameron with X-Wing Smugglers Bounty Exclusive. This also fits the Luke with X-Wing. This does NOT fit Kylo Ren, Boba Fett with Slave 1 or Wedge with Snowspeeder but we have those sizes too! These may fit some others that are coming out but please check to make sure your box is close to this size to make sure it will fit. 8 x 7 x 7 or 20.3 x 17.8 x 17.8cm.